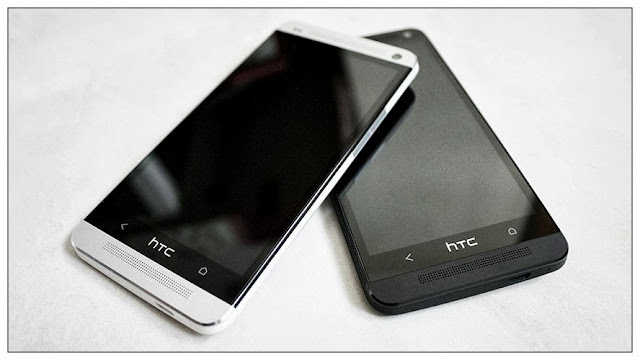 Since the release date, the HTC One has won almost every smartphone contest. It's won awards on many sites because of its unique design and great performance in conjunction with my favourite Android custom UI - HTC Sense. Now, months after the launch event in London, the HTC One has won yet another slew of awards - T3 Gadget of the Year, T3 Phone of the Year and finally T3 Design Award 2013! We are not hiding the fact that we are not surprised! "The HTC One is a product designed to save a company in financial trouble – and it seems HTC’s design and engineering team work well with their backs against the wall. This Android phone is the best product HTC has ever built, with a gorgeously thin, reassuringly rigid aluminium body bonded to the 4.7-inch screen by a technique that doesn't leave a single gap. And speaking of the screen, it’s eyeball-piercingly sharp, with a 1080p full HD resolution and Retina display-spanking pixel density of 468ppi. It’s one of a handful of phones that can be mentioned in the same breath as the iPhone when it comes to looks and build quality. Performance is no less impressive, with the quad-core processor blazing through tasks with nary a trace of lag and the 4MP Ultrapixel camera serving up some of the finest snaps we've ever seen from a smartphone." Android Revolution HD in courtesy of HTC is giving away brand new HTC One to the lucky winner of the giveaway #RevolutionChange contest. Don't miss it! Totally deserved! I couldn't imagine a better phone right now.. Samsung S4 and iPhone are just too mainstream, one is too plastic and the other is too expensive for what you get.. Why HTC one doesn't sell more then the others, even after winning all this prizes? Too bad HTC isn't so considered right now..
You said it, the other ones are "too mainstream". People bought them by fashion. The brand matters more than product itself, i know, sadly i know.. I really hope it will change at some point! Totally agree, it could also be the marketing. There's no doubt HTC has amped up the advertising with celebrity recommendations etc. But it was never enough when going up against Samsung who marketed the s4 with features that were impressive but not practical. The layman is gna go with what he is being told. Here in South Africa I would not have heard of the One had it not been for the internet while S4 banners were flying high on every street corner. Some people still aren't aware of the greatness of HTC or even aware that HTC still manufactures smartphones for that matter, Oh well... The joys of South Africa I'm just glad I got my One, now just to take this news back to these idiots and say " aha! I told you so!"